This article was originally published on October 25, 2010, in the Shenzhen Daily. 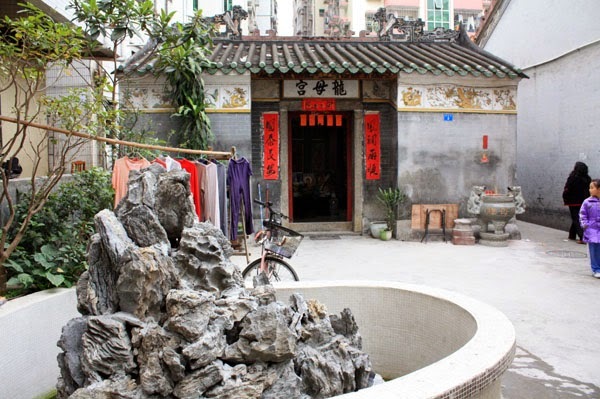 Nestled side-by-side among tall buildings, and separated by a small alley, are two of Shang Meilin Village's prized possessions. 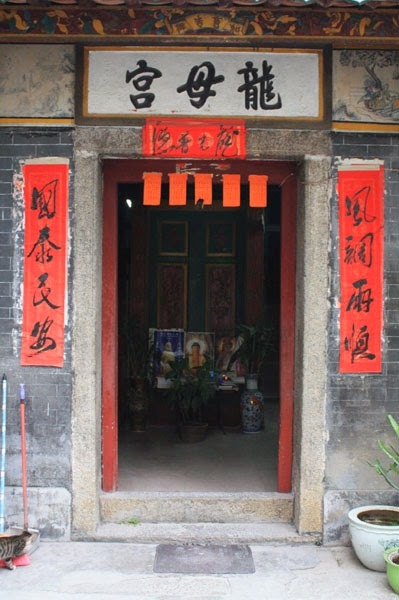 One is the Longmu ("Dragon Mother") Temple. Dating back to the Ming Dynasty (and renovated in the Qing), it is dedicated to a mythical figure who was said to have given birth to (or perhaps simply raised) five baby dragons. With their help, she ended a drought, leading to her deification. Or so they say. She is also a symbol of the parent-child relationship. The statues inside are relatively new, but the building itself is original, spared the bulldozer in Shenzhen's rapid development. The temple keeper was once a visitor who decided to stay and tend the place. He's one of the friendliest people I've met in my travels. 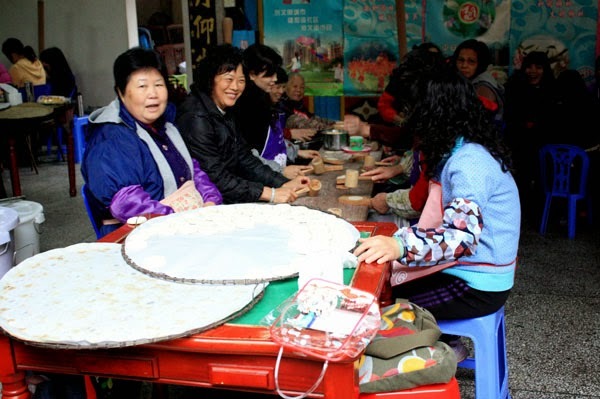 On one visit there, I encountered a whole passel of Huangs (maybe 200 or more) making cakes for an upcoming festival. Clannish they are not: I had to get out of there before they stuffed me to the ears! At other times, fewer--but still communal--Huangs can be found playing mahjongg or just chatting in the hall's spacious interior. 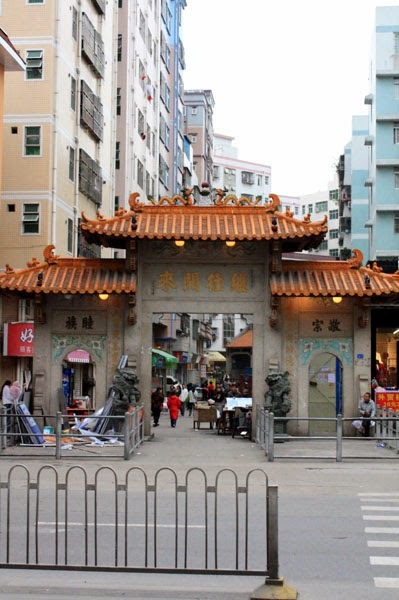 Both buildings can be found behind a large gate on the north side of Meihua Road between Meicun and Zhongkang Roads, near the Shang Meilin bus stop. The halls are not terribly far from Meilin Park, described in another article. 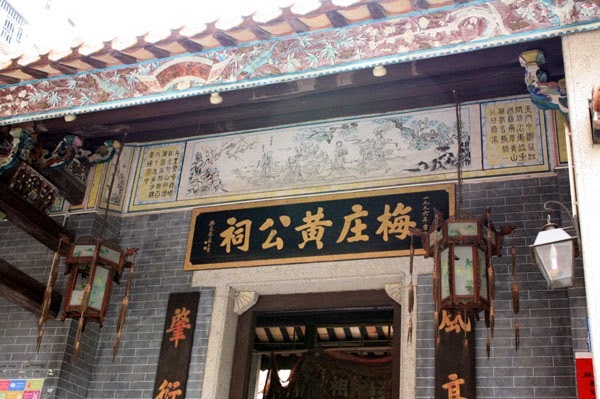 Another article in the Shenzhen Daily, Huang's family temple, communal home of the Huangs, tells the story of how the Huangs got their hall back. 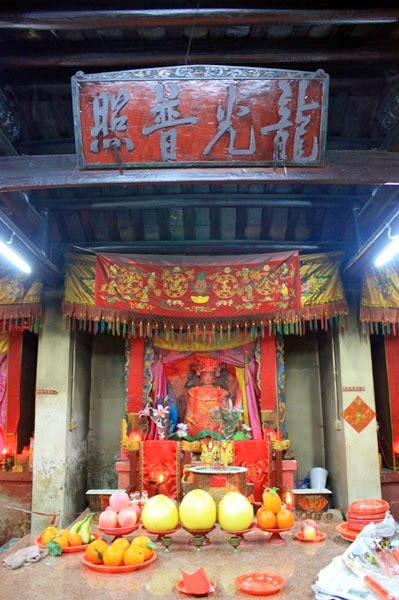 And, there's more about the Longmu Temple in another article in the Shenzhen Daily, "Longmu Temple, a reminder of the city's fishing past."